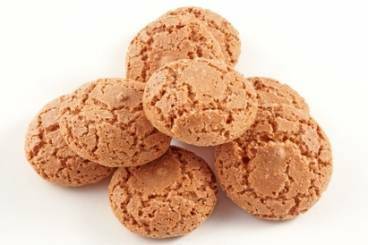 Delicious and delicate biscuits made with Amaretto (almond liqueur), a perfect accompaniment to coffee. Mix together the ground almonds and the icing sugar. Add the egg whites then the Amaretto and mix to form a ball. Roll out into a long 'sausage', cut in to small pieces and place on a baking tray. Bake in a preheated oven for 15 to 20 minutes.